Competes with PA6 for most applications. PA66 is heavily used in the automotive industry, appliance housings, and generally where impact resistance and strength are required. 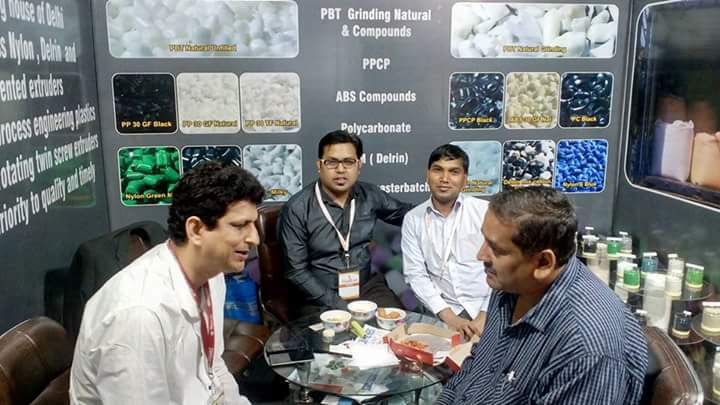 We are compounding Engineering Plastics raw materials on imported twin screw extruders with Total Capacity to Produce 2000 Tonnes Per Annum. The gate location is important because of very fast freeze-off times. Any type of gate may be used; the aperture should not be less than half the thickness of the part. When hot runners are used, the size of the gates can be smaller than when cold runners are used, because premature freeze-off is prevented. When using submarine gates, the minimum diameter of the gate should be 0.75 mm. 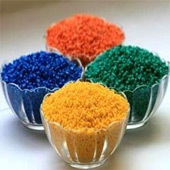 PA66 homopolymer is produced by the polymerization of hexamethylene diamine and adipic acid (a dibasic acid). Among commercially available polyamides, PA66 has one of the highest melting points. It is a semicrystalline-crystalline material. The grades have strength and stiffness which is retained at elevated temperatures. It does absorb moisture after molding, but the retention is not as much as in the case of PA6. Moisture absorption depends on the composition of the material, wall thickness, and environmental conditions. Dimensional stability and properties are all affected by the amount of moisture absorption which must be taken into account for product design. Various modifiers are added to improve mechanical properties; glass is one of the most commonly used filler. Addition of elastomers such as EPDM or SBR improves impact resistance. The viscosity is low and therefore, it flows easily (but not as easily as PA6). This allows molding of thin components. The viscosity is very sensitive to temperature. Shrinkage is of the order of 0.01 - 0.02 mm/mm (1 - 2%). Addition of reinforcing glass fibers reduces the shrinkage to 0.2 - 1%. Differential shrinkage in the flow and cross-flow directions is quite high. Mineral fillers yield more isotropic moldings. PA66 is resistant to most solvents but not to strong acids or oxidizing agents.. Automotive (instrument and interior trim panels, glove compartment doors, wheel covers, mirror housings, etc. ), refrigerators, small appliance housings and power tools applications (hair dryers, blenders, food processors, lawnmowers, etc. ), telephone housings, typewriter housings, typewriter keys, and recreational vehicles such as golf carts and jet skis. ABS is produced by a combination of three monomers: acrylonitrile, butadiene, and styrene. Each of the monomers impart different properties: hardness, chemical and heat resistance from acrylonitrile; processibility, gloss, and strength from styrene; and toughness and impact resistance from butadiene. Morphologically, ABS is an amorphous material. The polymerization of the three monomers produces a terpolymer which has two phases: a continuous phase of styrene-acrylonitrile (SAN) and a dispersed phase of polybutadiene rubber. The properties of ABS are affected by the ratios of the monomers and molecular structure of the two phases. This allows a good deal of flexibility in product design and consequently, there are hundreds of grades available in the market.Commercially available grades offer different characteristics such as medium to high impact, low to high surface gloss, and high heat distortion. ABS offers superior processibility, appearance, low creep and excellent dimensional stability, and high impact strength. Automotive (mostly mineral-filled PP is used: dashboard components, ductwork, fans, and some under-hood components), appliances (doorliners for dishwashers, ductwork for dryers, wash racks and lids for clothes washers, refrigerator liners, etc. ), consumer products (lawn/garden furniture, components of lawn mowers, sprinklers, etc.). Typically, fast injection speeds are used to minimize internal stresses; if surface defects occur, slow speed molding at a higher temperature is preferred. Machines capable of providing profiled speed is highly recommended. In the case of cold runners, typical diameters range from 4 - 7 mm. Full round sprues and runners are recommended. All types of gates can be used. Typical pin gate diameters range from 1 - 1.5 mm, but diameters as low as 0.7 mm may be used. In case of edge gating, the minimum gate depth should be half the wall thickness and the width should be at least double the thickness. Hot runners can readily be used for molding PP. 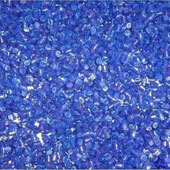 PP is produced by the polymerization of propylene using stereospecific catalysts. Mainly, isotactic PP is produced (the methyl groups lie on one side of the carbon chain). This linear plastic is semicrystalline because of ordered molecular structure. It is stiffer than PE and has a higher melting point. The PP homopolymer becomes very brittle at temperatures higher than 0 C (32 F) and for this reason, many commercially available grades are random copolymers with 1 - 4% ethylene or block copolymers with higher ethylene content. Copolymers have a lower heat distortion temperature (approximately 100 C / 212 F), less clarity, gloss, and rigidity, but greater impact strength. The material becomes tougher as the ratio of ethylene increases. The Vicat softening point is approximately 150 C (302 F). Because of high levels of crystallinity, the surface hardness and scratch resistance is higher for these materials. PP does not have environmental stress cracking problems. PP is usually modified by addition of glass fibers, mineral fillers, or thermoplastic rubbers. The MFR of PP ranges from 1 to 40; lower MFR materials have better impact strength but lower tensile strength. The copolymer is tougher than the homopolymer of the same MFR. The viscosity is more shear and temperature sensitive than PE. Due to crystallinity, the shrinkage is relatively high (order of 0.018 - 0.025 mm/mm or 1.8 - 2.5%). The shrinkage is more uniform than PE-HD (the difference in flow and cross-flow shrinkage is typically less than 0.2%). Addition of 30% glass reduces the shrinkage to approximately 0.7%. Both homopolymer and copolymer PP offer excellent resistance to moisture and good chemical resistance to acids, alkalis, and solvents. However, it is not resistant to aromatic hydrocarbons such as benzene, and chlorinated hydrocarbons such as carbon tetrachloride. It is not as resistant to oxidation at high temperatures as PE. Full round runners are recommended to impart maximum pressure transmission (rule of thumb: runner diameter = part thickness + 1.5 mm). A wide variety of gates may be used. Hot runners may also be used, taking care to avoid drool and material degradation. Gate diameters or depths should preferably be between 0.8 - 1.0 times the part thickness. When using submarine gates, the minimum recommended diameter is 0.75 mm. PBT is one of the toughest engineering thermoplastics. It is a semicrystalline material and has excellent chemical resistance, mechanical strength, electrical properties (high dielectric strength and insulation resistance), and heat resistance, all of which are stable over a broad range of environmental conditions. It has very low moisture absorption. PBT, which is a polyester, is produced by the polycondensation reaction of dimethyl terephthalate an butanediol. Tensile strength ranges from 50 MPa (7,250 psi) for unfilled grades to 170 MPa (24,650 psi) for glass reinforced grades. High levels of glass fillers make the material more brittle. Crystallization is rapid and this could cause warpage due to non-uniform cooling. In the case of glass filled grades, shrinkage is reduced in the flow direction, but in the cross-flow direction it may be equal to that of the generic grade. Shrinkage is of the order of 0.015 - 0.028 mm/mm (1.5 -2.8%). A 30% glass-filled material has a shrinkage range of 0.3 - 1.6%. The melting point (approximately 225 C / 437 F) and heat distortion temperatures are lower than that of PET. The Vicat softening point is approximately 170 C (338 F). The glass transition temperature ranges from 22 - 43 C (71 - 109 F). The melt viscosity is fairly low and due to fast crystallization rates, cycle times are typically low. 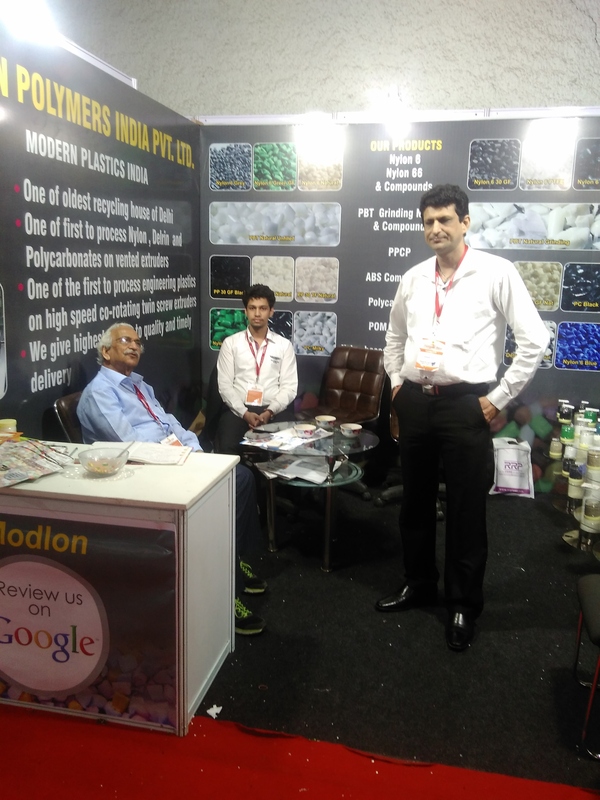 Modlon Polymers India Pvt. 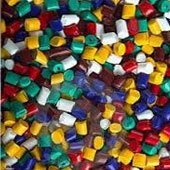 Ltd is Located in Capital City of India, New Delhi , Modlon Polymers caters to demand of North India. With Strategic Location and ample space of about 1000 sq. meters of covered space , we have sufficient capabilities to cater to demand of Northern India. 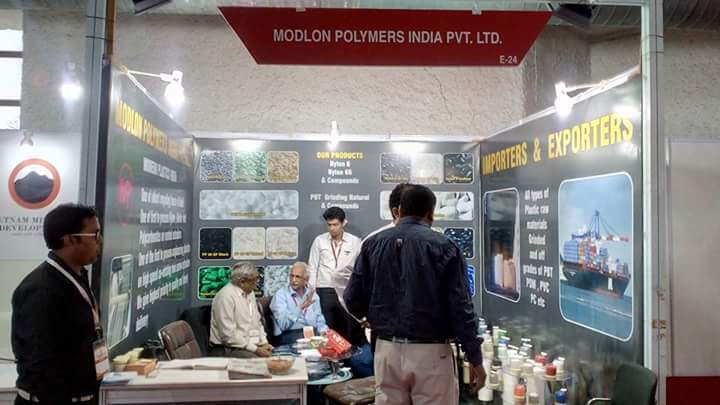 Copyright � 2015 Modlon Polymers India Pvt. Ltd.